An insider-trading probe of Congress may be doomed, but it’s still worthwhile. The U.S. Securities and Exchange Commission says dozens of investors may have profited from an illegal Capitol Hill tip. Lawmakers are stonewalling, though, and the statute they passed to ban such leaks may be unenforceable. Even so, the case could shame Congress into getting serious about policing trades. 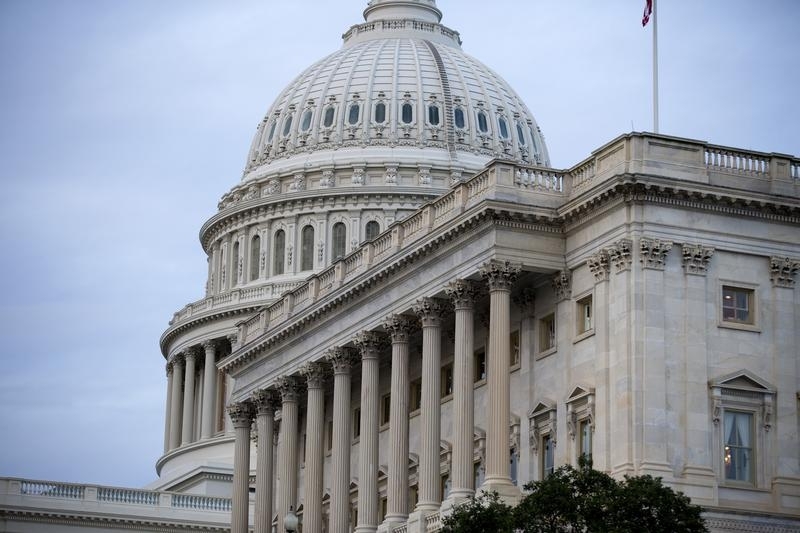 The investigation focuses on whether a House of Representatives aide disclosed confidential healthcare policy in violation of the 2012 Stop Trading on Congressional Knowledge Act. The SEC stresses that some 44 hedge funds and asset managers around the country may have used the information for lucrative trades. The House general counsel’s office is arguing that the case’s Washington focus means it should be dismissed or at least moved from a New York court to one in the nation’s capital. That’s a stalling tactic, just one of the ways lawmakers are trying to duck the SEC’s request for documents. The House lawyers also say sovereign immunity and constitutional protections for speech and debate in Congress shield representatives from the commission’s prying eyes. The refusal to cooperate suggests the STOCK Act was merely political cover. It passed in the face of public outrage over media reports about suspiciously timed trades that seemed based on government information. Lawmakers risk provoking even more outrage with their current legal contortions. The courts will probably force them eventually to give the SEC what it needs. Less certain is whether the commission can make any allegations stick. Courts have ruled that trading on inside information isn’t illegal unless the tipper was compensated for whatever was handed over. In a business context, the compensation can be something as simple as a stronger friendship. The standard is much higher for public officials, who are allowed campaign contributions and other benefits without fear of violating the law. The SEC might have to show that, say, a House staffer got paid directly for a tip to prove insider trading. Congress could fix that with legislation specifying the types of compensation that would qualify. It would be tricky, given lawmakers’ duty to share information with their constituents. But it would also be a possible boon to their public image. First, they’ll need to stop thumbing their noses at the law. The U.S. Securities and Exchange Commission said in a July 16 court filing that its investigation of congressional insider trading involves 44 investment funds and other entities, including some of the nation’s largest hedge funds and asset managers. The filing did not name any of the funds. The SEC is looking into whether a staff member of the U.S. House Ways and Means Committee illegally passed along confidential information about a change in healthcare policy that prompted a rise in the value of insurance company stocks. The staffer allegedly tipped a lobbyist at law firm Greenberg Traurig, who disclosed the information to an analyst at Height Securities, who then sent an email to clients minutes before the policy change was announced publicly.